Got my Singaporean fix from QQ Kopitiam in Pasadena. 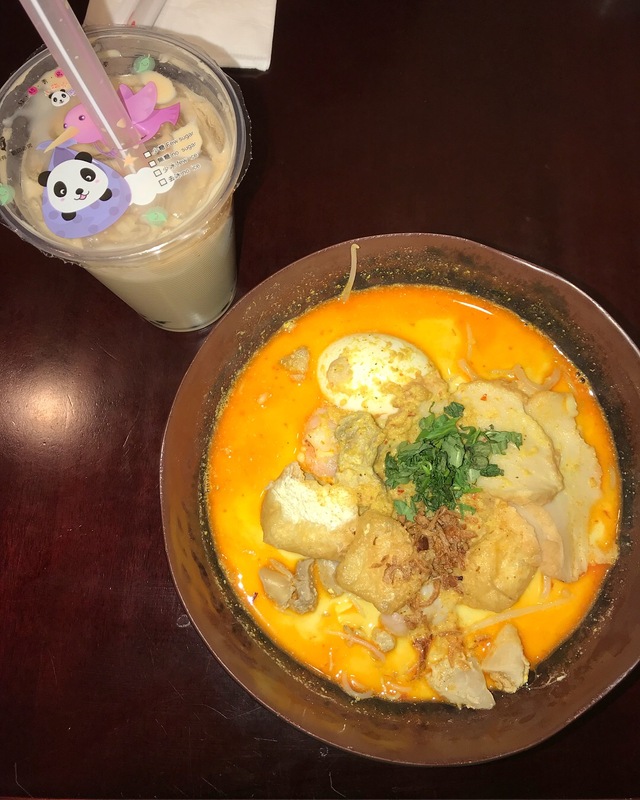 The Laksa was super authentic and delicious, just like it would be at home! It was a really generous serving for a super reasonable price (two main dishes and one bubble tea was $21 with tax). I know I may be a little late to hop on the bandwagon, but I am beyond obsessed with Halo Top. 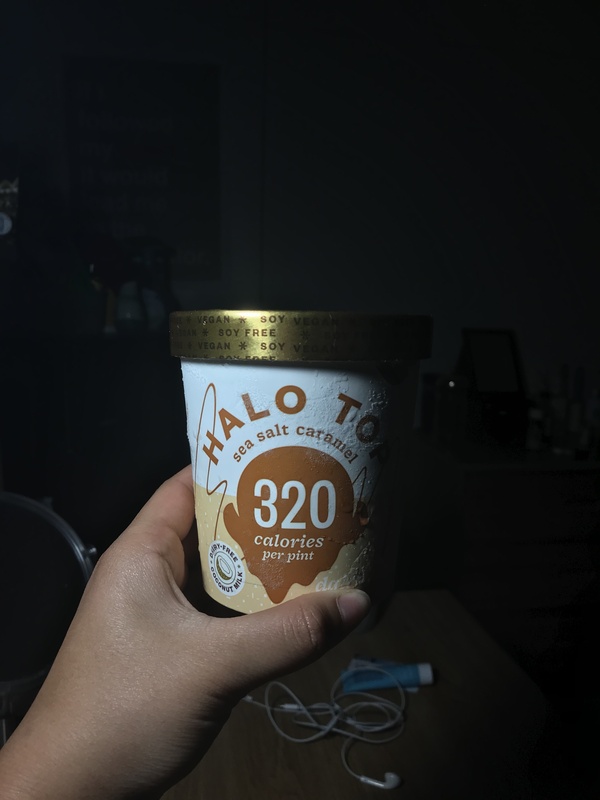 For those of you who don’t know what it is, Halo Top is an extremely low calorie, high protein ice cream (not that you can tell, it’s amazing!). The calories range from 240-360 calories depending on the flavor, so one serving is never more than 90 calories. A few of my favorite flavors are Birthday Cake, Sea Salt Caramel and Mint Chip. This beautiful spread is from the Granville at the Americana in Glendale. They have a menu full of modern yet homey dishes that are absolutely delicious! 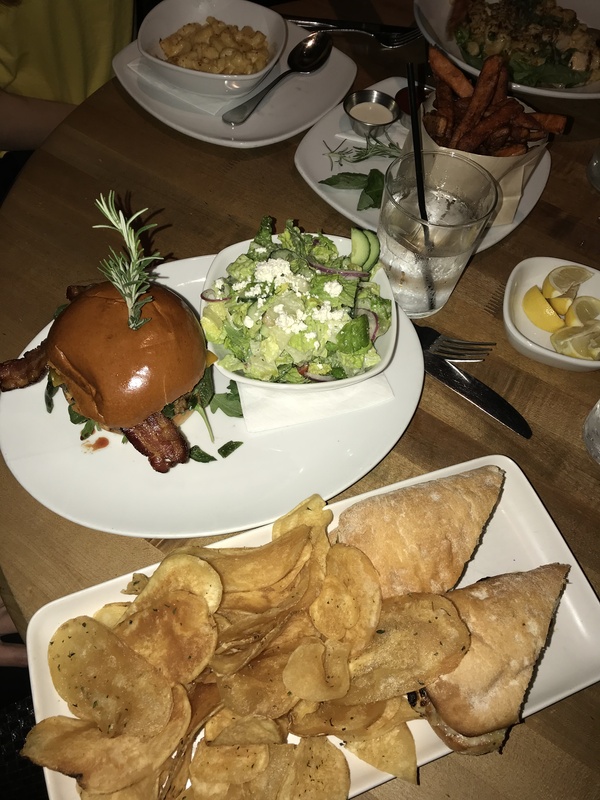 This was the bacon & blue burger with a side salad, the Santa Barbara chicken sandwich, a side of sweet potato fries and the uptown mac & cheese. I would also highly recommend the chicken and blue flatbread (not pictures). A perfect stop for lunch or dinner during a day of shopping! 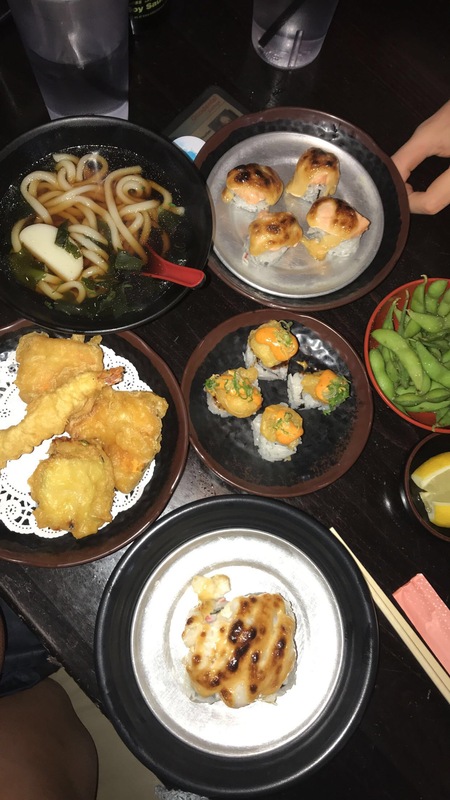 *As seen on BuzzFeed* Sushi Stop is a super affordable (and yummy) location in Pasadena (they have other locations too). At $3.25 for most of their dishes, it’s hard to spend more than $16 a person (and that’s if you are eating A LOT). Ranging from sashimi sushi to baked rolls to udon and tempura, they have everything you would ever want. To be honest, after eating so mush sushi in Japan, I was a little skeptical of this, but it did not disappoint! Just throwing this in here because I miss Disneyland. 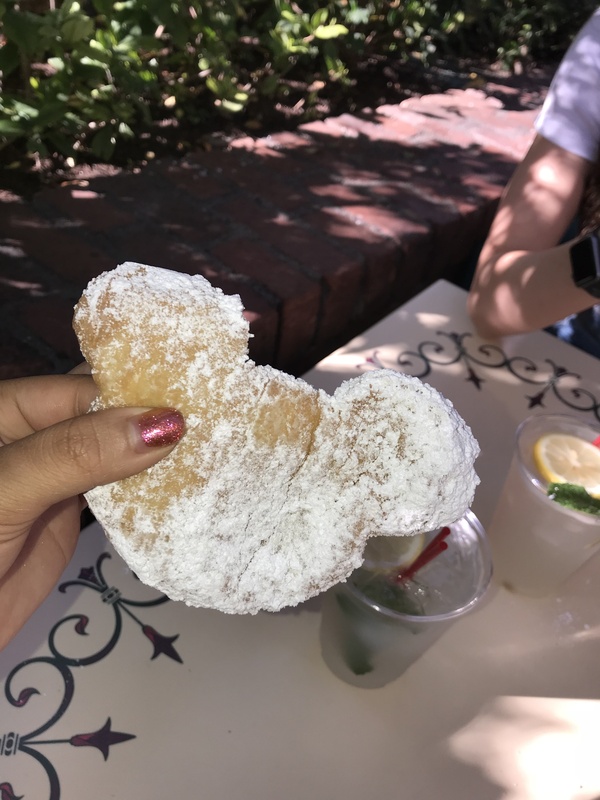 A beautiful mickey mouse-shaped beignet (and some Mint Juleps) from New Orleans Square at Disney. One of my favorite things about living in LA is finding all the small (what I like to call) hidden gems of the city. Gloria’s Cafe is a small Mexican-inspired breakfast/brunch restaurant tucked away in the back streets of Highland Park. 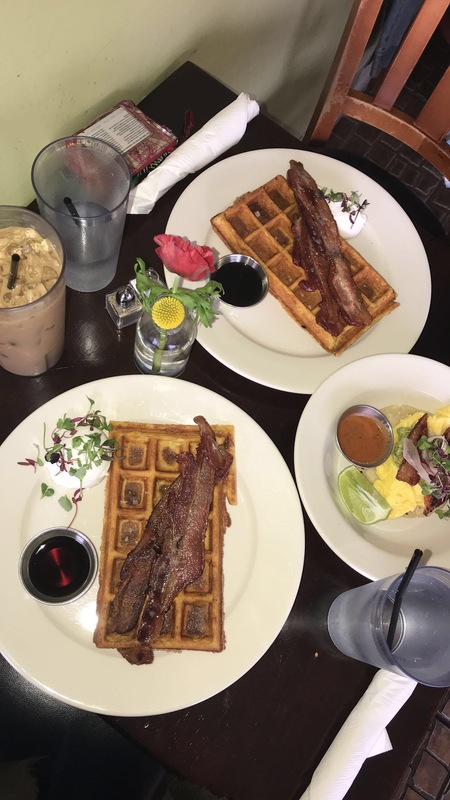 Pictured above is the savory waffle (amazing!) and the breakfast taco. I would also highly recommend their breakfast sandwich which comes on a burger bun with pulled pork and scrambled eggs. For a main dish and (a big a**) iced coffee, I usually pay $14 (including tax and tip).